Keeping our market knowledge up to the minute our team visited the Oceanco, Amels & Heesen yards to see the latest builds, designs and availabilities first hand. Oceanco is famed for building some of the largest and most ground-breaking superyachts on the planet. One of their most recent launches was the 110m Jubilee, an incredible design by Igor Lobanov expertly brought to life by Oceanco and presented at the Monaco Yacht Show. the shipyard is as you would expect from a company at the very top of their game, an enclave of luxury in what is traditionally a "heavy" industry. With the ever increasing popularity of larger custom built yachts Oceanco has a full order book but new builds for delivery from 2023 can now be discussed. Amels, part of the Damen group, has a strong and merited reputation for building semi-custom superyachts, their pre-engineered and well tried and tested Limited Editions platforms have ensured delighted owners the world over. The resale market is a testament to their quality and popularity, with so few owners wishing to sell and those who do finding strong offers to take their Amels off their hands, all proves that building luxury superyachts that last well, perform well and hold value is a smart business model. The next availabilities for new build deliveries from Amels are for the 180/55m and 242/74m ranges, scheduled for delivery in Spring 2019 and a 206'/62.4m for Spring 2020. 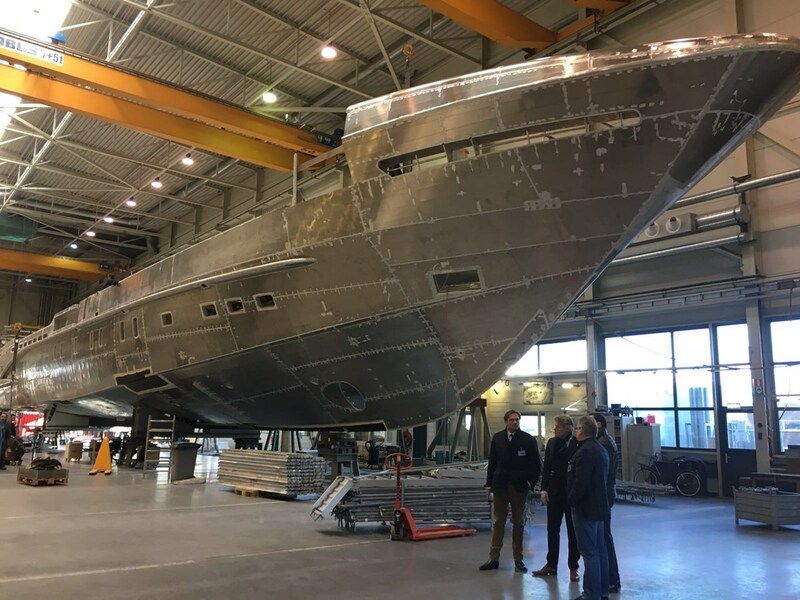 At Heesen Yachts, known for building Dutch quality performance yachts and stylish yachts, being flexible with design, form and function and producing series of yachts & custom builds that have become modern classics. Heesen has a full yard and an optimistic outlook, having delivered the 50m hybrid beauty Home, 55m Laurentia, 50m VanTom and 47m Book Ends last year. There are currently three 50m and one 55m in build and available to purchase for delivery from mid 2019 to mid 2020. Contact our expert team for a full consultation on new build opportunities from those already in build to fully customised superyachts of all sizes.